Homme Homes has a proud history of caring for people since Rev. E.J. Homme founded Homme's Orphan and Old Folks Home in 1882 under the sponsorship of the Lutheran Church of America. Today, we are still supported by many area churches and operate two campuses in Wittenberg and Wausau, Wisconsin that provide a wide variety of residential housing and health care services for seniors of all faiths as well as in-patient and out-patient rehabilitation services for adults of all ages. At Homme Homes, we offer a continuum of care that focuses on providing the type of housing that best meets the needs of our residents with as much or as little support as necessary. Housing options include independent one and two bedroom elderly apartments, federally subsidized rental options, the services of a certified Resident Care Apartment Complex (RCAC) and services of a Community Based Residential Facility (CBRF). Within these services we also focus on the unique needs of those suffering from Alzheimer’s and related Dementia. Our goal is to help each person create a safe and comfortable home where they can enjoy faith, health and happiness. 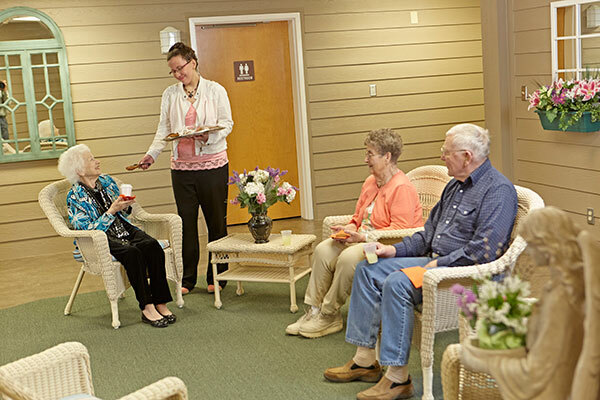 We welcome you to find out more about our housing options and Homme’s unique commitment to meeting the needs of the elderly in North Central Wisconsin.